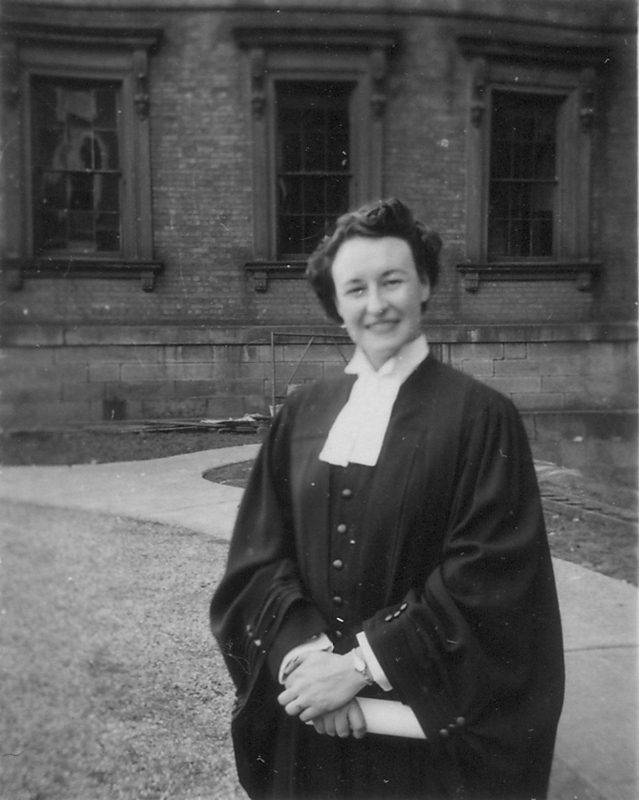 Photograph of Thelma Thomson outside Osgoode Hall following her call to the Bar, Sept. 15th, 1949. 1940-06-20 Toronto J.H. Rodd, K.C. 1941-09-18 Toronto Sir Norman Birkett, K.C. 1948-06-29 Toronto John R. Cartwright, K.C. 1949-09-15 Toronto Rt. Hon. Arthur Meighen, P.C., K.C.